FORS Relic’s superior discrimination ability will enable you to detect relics and coins missed by other detectors in the trashiest sites and in iron contamination. 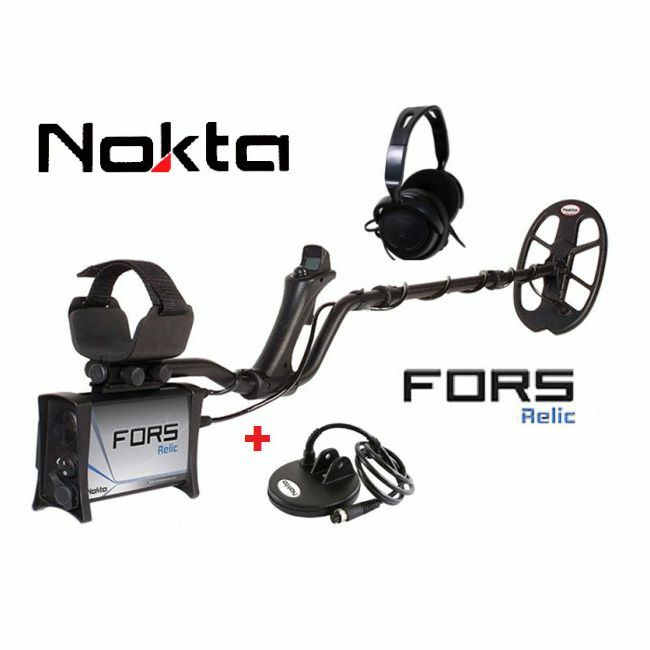 In addition, the waterproof search coils make FORS Relic the best choice for metal detecting on the beach or in rivers. Also referred to as the ”All Metal” mode, this is the deepest mode of the device. In this mode, the device detects all targets and provides a single target tone with no discrimination. It is the 2-tone discrimination mode. It provides good results especially in clean fields without much trash. This is the 3-tone discrimination mode designed for coin hunting. Recommended especially for relic hunting, this mode is the deepest among discrimination modes and requires a slower sweep speed. It is the 2-tone discrimination mode designed for trashy areas. It is recommended especially for coin hunting. It offers slightly less depth but faster target detection and recovery speed in trashy sites. This is the special mode of FORS Relic developed for conductive ground (wet beach sand, alkali soils etc.) In this mode, the device will not respond to ferrous targets and it will ground balance easily on all types of ground.